BRAND NEW PROFILES ARE COMING!! 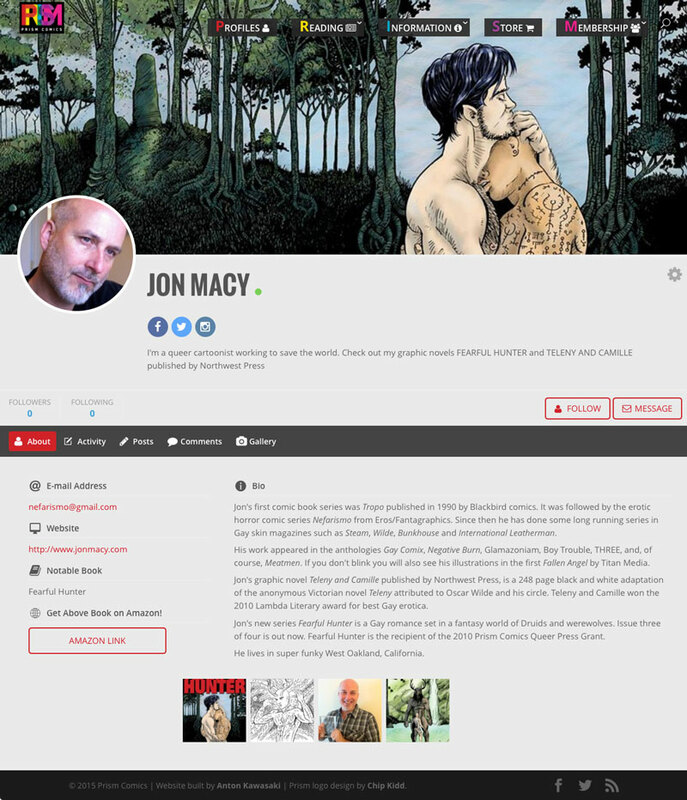 Prism Comics’s creator profiles have always been a comprehensive directory of creator contacts and information that enabled fans of LGBT-themed comics to connect with great new material. In recognizing LGBT creators, as well as straight creators of LGBT-themed comics, Prism has demonstrated the significance — in both quantity and quality — within the greater comic book industry. Coming soon, Prism will be launching a brand new look, and cool new functionality, for creators and fans alike! Beautiful new profiles featuring a full-width cover photo (to showcase your art, latest book, etc), and a photo gallery you control. “Follow” your fellow LGBTQAI creators and get notices of their latest activity. Public and private (creator-only) forums. New ways to interact with fans. Real-time notifications for various activities. And there’s more for fans too! Registering on the site makes it possible to interact with creators, review your Prism purchases, comment on articles, forums and so much more!